This 32 select snack vendor gives you excellent selection for a large variety of vending locations. 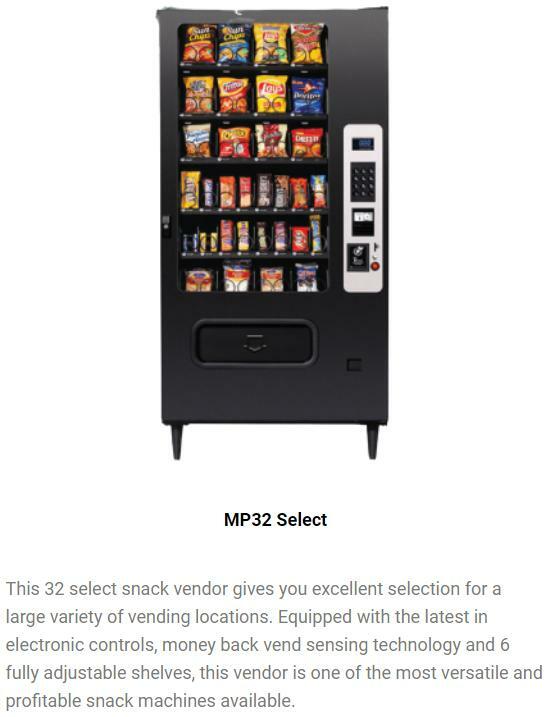 Equipped with the latest in electronic controls, money back vend sensing technology, 6 fully adjustable shelves, and a stunning Black Diamond styling, this vendor is one of the most versatile and profitable snack machines available today. *481 lbs. (218.2 kg) *Varies with confguration & options. To get a delivered price quote in your area , CLICK HERE.